Articulated robots are robots whose arms have a minimum of three rotary joints. Articulated robots have made the industrial manufacturing process fast and precise. They are used in industries for various applications including material handling, welding, load/unload, bin picking, assembly, processing, washing, and painting among others. Articulated robots offer production efficiency to industries as they can handle products which are too heavy and unsafe for humans to handle and robots can work with minimal rest as compared to humans. Articulated robots are highly durable, generate precise outputs for long-term operations and can perform complex task on behalf of humans. The use of articulated robots in production has led to increase in product quality as articulated robots provide more accurate outputs than manual labor. Articulated robots also offer reduced cost on production as overall cost for implementation of articulated robots is less compared to manual labor if the entire lifecycle is considered and it is easier to do process changeovers with articulated robots as they are more flexible. Articulated Robots Market can handle different payload applications ranging from 16kg to 300 Kg which provides a high level of adaptability and flexibility over a wide range of industrial production applications. Increasing need for automation across industry vertical including automotive, aerospace, EMS (electronic manufacturing services), food & beverages, metals & machinery, chemicals, rubber, & plastics, precision engineering & optics, and pharmaceuticals & cosmetics among others is driving the growth of global articulated robot market. 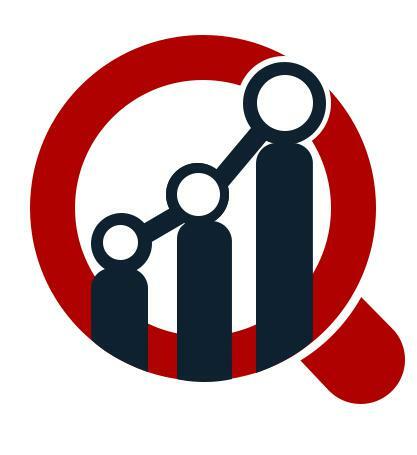 Increase in adoption of articulated robots in small and medium enterprises across the globe is set to further drive the growth of the global articulated robot market during the forecast period. The rising trend in factory automation also known as “Industry 4.0” is set to boost the global articulated robot market. However, high initial cost of the articulated robots and complexity of their installation are expected to restrain the growth of global articulated robot market. ABB (Switzerland), Fanuc Corporation (Japan), Yaskawa Electric Corporation (Japan), Kawasaki Heavy Industries, Ltd (Japan), Mitsubishi Electric Corporation (Japan), Seiko Epson Corporation (Japan), Toshiba Machine Co., Ltd (Japan), OMRON Corporation (Japan), KUKA Aktiengesellschaft (Germany), Yamaha Motor Co., Ltd(Japan), Aurotek Corporation (Taiwan), Cassioli S.r.l (Italy), Daihen Corporation (Japan), Denso (Japan), Engel (Austria), Nachi-Fujikoshi (Japan), Stubli International (Switzerland), SIASUN (China), HIWIN (Taiwan), GSK (UK), and Triowin (China) are some of the prominent players profiled in MRFR analysis and are at the forefront of competition in the global articulated robot market. The prominent players keep innovating and investing in research and development to present a cost-effective product portfolio. There have been many key developments in the products that the key players offer in terms of articulated robots. The global articulated robot market is segmented based on component, payload capacity, application, industry vertical and region. By component the global articulated robot market is segmented based on hardware, software and, services. The hardware segment is further segmented into controller, arm, drive, end-effector and sensor. By payload capacity the global articulated robot market is segmented into low, medium, high, and heavy. By application the global articulated robot market is segmented into material handling, welding, load/unload, bin picking, assembly, processing, washing, painting, and others. By industry vertical the global articulated robot market is segmented into automotive, aerospace, EMS (electronic manufacturing services), food & beverages, metals & machinery, chemicals, rubber, & plastics, precision engineering & optics, pharmaceuticals & cosmetics, and others. The regional analysis for global articulated robot market is done for North America, Europe, Asia pacific and rest of the world. Asia pacific is expected to dominate the global articulated robot market during the forecast period. The presence of key players like Fanuc Corporation, Yaskawa Electric Corporation, And Toshiba Machine Co., Ltd among others in the region is driving the growth of the articulated robot market in the region. Growing industrialization and production in countries like China and India is set to drive the growth of articulated robot market in the region. North America is expected to contribute significantly to the global articulated robot market during the forecast period. Increasing development in automation and high adoption of automation in production in countries like US and Canada is driving the growth of the articulated robot market in the region. Europe is expected to contribute significantly to the growth of global articulated robot market during the forecast period. The presence of key players like ABB has led to the growth of articulated robot market in this region.